I started preparing for GMAT about 4 weeks ago. My Verbal is improving without much effort BUT my quant skills are not improving at all, no matter how much I focus on Quant. I have Magoosh premium and have seen all videos once or twice. Also, I had studied most GMAT topics in high school and it feels that on GMAT they are even simpler than what I used to do in high school and University. What am I doing wrong? Is it better to focus on exercises or reviewing the theory? My Quant varies between 34 and 41 on different CATs/tests. All the sources are more or less the same however i found Manhattan and Gmatclub good. Manhattan is good for basic level and Gmatclub book and gmatclub tests helps u boost ur score. once done with OG, try to attempt gmatclub quant tests on alternate days and revise your mistakes. Believe me you will be able to score 47 or above in quant. Thank you for your valuable suggestions. I am basically over 650 questions but below 700, and getting quite a few wrong. A lot of the problem is my time, I take sooo long to do the problems and the timed CATs are too fast for me! Thank you for your suggestions, I was lucky a friend gave me the Manhattan and Veritas books free and I am using both + Magoosh. Magoosh is great but quite synthetic, sometimes I like to watch additional videos on Youtube to review more details and additional formulas. Thanks! I viewed all Magoosh videos on Quant, did not start verbal yet. Using also Khan Academy on Youtube to supplement the math. I studied only weekends before but now I am doing about 2 hours per day + 4 hours on weekends. I have not chosen BSchool yet but I have INSEAD, CEIBS, and Stern in mind. My GPA was 3.8 and I am Female Italian working in Singapore. No timeline because without a proper GMAT score I can´t plan much, so anything between 1 and 5 months of preparation is ok as long as I get there (also for personal satisfaction). 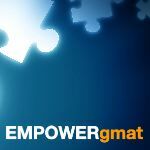 I did check EmpowerGMAT by the way, but I am asking myself if more resources are going to help or not. I have all Veritas and Manhattan books + magoosh so the problem is probably my study method rather than the materials? I think you lack basics quants. I would suggest you not to dive into CAT's or tough problems. Try to read the basics of Arithmetics, Algebra, Geometry. Basically all the basics of topic tested on GMAT. And try solving 500 level problems. You need to get those correct all the time. And proceed to 600+ problems. Then try to read the advance concepts. Mostly if you can get to 45 to 46 in Quant, then you know all the basics. After Q46 or Q47 it is more of timing and silly mistakes, which you can rectify as you proceed. 1) Consistency in your studies. It's not clear how long you studied "just weekends only", but considering you've been studying for just 4 weeks, the amount of time that you've consistently studied (throughout the week) is relatively small. It's also not clear what your actual score goal is, but assuming it's around 700 or so, then you'll have to put in a significant amount of consistent study and effort to hit that goal. The sooner you can build a proper study routine (that you can stick to), the better. 2) Taking your CATs in a realistic fashion. Taking a CAT to 'see how you handle' just one section is a WASTE of a CAT. We need to assess your overall skills at regular intervals throughout the study process, so you have to be disciplined enough to take each CAT in a realistic fashion. There are aspects to the GMAT that you can really only learn to deal with by taking FULL CATs in a realistic way - and so far, it does not sound like you've done that (and as such, there is a question as to how accurate these CAT results really are). For now, you should focus on your studies for at least another 2 weeks, then take a new FULL-LENGTH CAT. Once you have that score, you should report back and we can discuss the results. Quant in GMAT is something different and should be prepared in different way so by learning just the concept is not everything. You should be able to do math with maximum possible shortcut way. So first learn all the concept tested on GMAT and then do handsome practice. What is proportion of your correct answers in DATA SUFFICIENCY? because DS Is some thing very different. Thanks a lot for your valuable suggestion! How many questions/exercises did you do during your preparation? I currently do about 20 for verbal and 20 for quant per day (with review of mistakes and explanations), is it enough? How many CATs did you do and with what frequency? Thanks! I have done both of the official GMATPREP CATs which are available for free, as well as 10 of the Quant CATs through GMAT Club. I think the amount of questions you are doing per day is excellent! Specifically, your review of the material afterwards is a step many forget, but will benefit you in the long term. Once you start to notice patterns in which questions you get wrong, I would double back to a lesson where you can learn more about that topic. Best of luck in getting to your goal score! 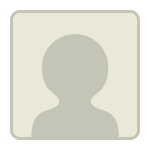 - I am targeting a 700 score in 1 month. Although my verbal is lower in absolute terms (33-34-37 vs 32-40-41) it is higher in percentile (83% vs 45%). What shall I focus on?